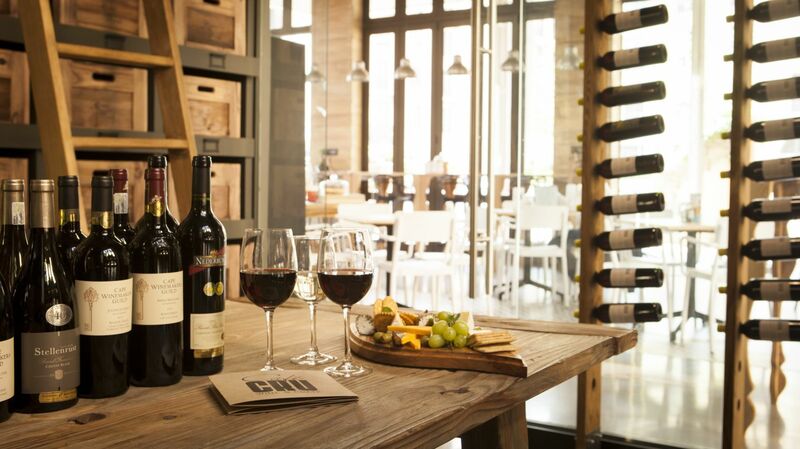 Café Cru marries the best of deli dining and café culture and throws a boutique selection of wines into the mix. 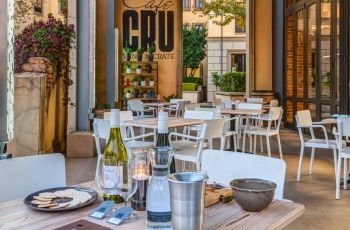 Naturally relaxed with a flair for food, great coffee and wine, Café Cru opens out onto the quiet Pivot Courtyard at Montecasino for an understatedly cool Fourways café experience. 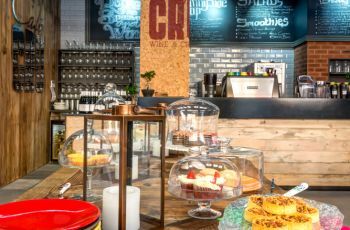 Reclaimed wood and cork brush up against polished concrete and subway tiles where friendly baristas work their coffee magic, a harvest table encourages fresh and tasty variety and a menu of breakfasts, salads, sandwiches and smoothies can be enjoyed in the café or packaged to go. 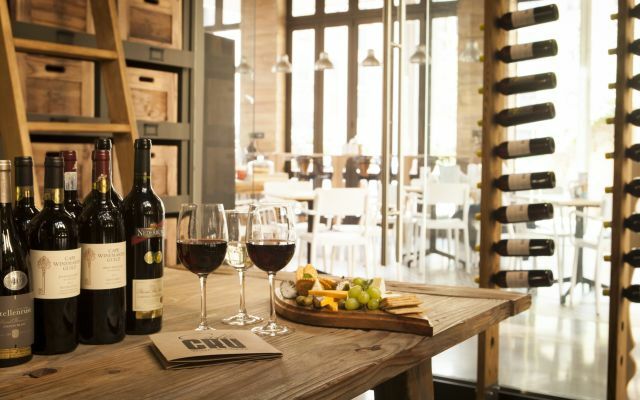 A display of deli fresh specialties and a collection of handpicked wines are ready for tasting and taking home. Grab and go or pull up a seat for breakfast, brunch and lunch. Breakfast favourites include everyone’s favourite, eggs benedict, fresh egg and bacon jaffels, as well as omelette and scrambled. 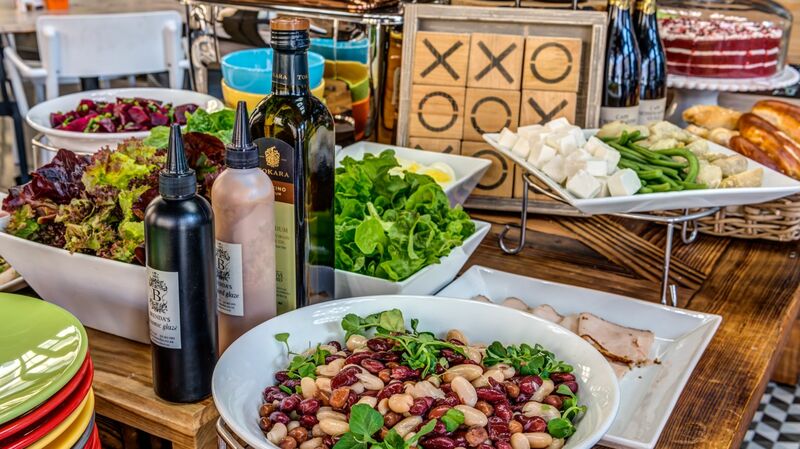 Brunch from the menu or from the harvest table with fresh breads and pastries and seasonal salads. 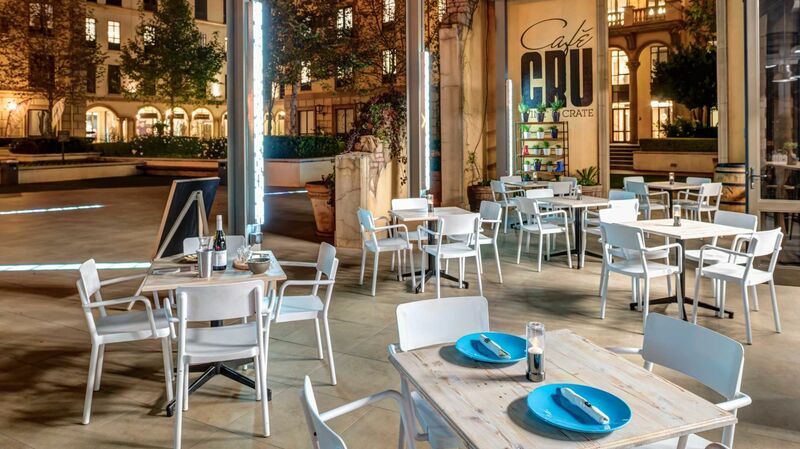 For lunch go Cru Style, with homecooked pies, beer-battered fish and chips or prego and fries. The bread brigade includes sourdough, rye, panini and baguettes with tasty fillings like slow roasted chicken and avo, prosciutto and cheese melts and goats cheese with fig preserve. Enjoy something lighter with a forever young health breakfast or berry smoothie, or a roast pumpkin and feta salad, beetroot and green olives and cherry tomatoes. 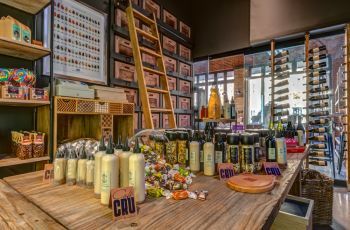 Staying at Southern Sun Montecasino, working at The Pivot or whatever brings you to Fourways you’ll find easy parking and tempting options. 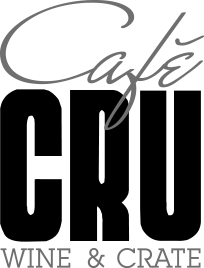 Café Cru is a participating Auction Wines restaurant and stockist. 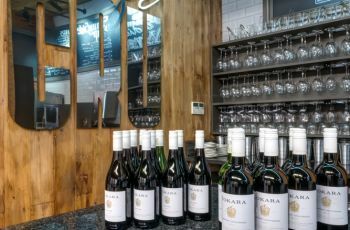 A selection of best and rarest South African wines at an affordable price range, means you can taste some of the Country’s best wineries by the glass, and buy by the bottle (or even the crate). Not here for the wine? 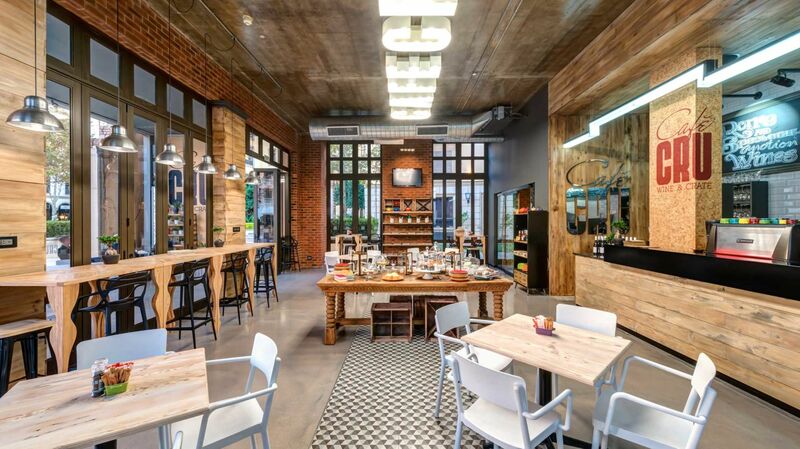 All your caffeine needs are met with barista prepared coffee from Americano to double espressos. 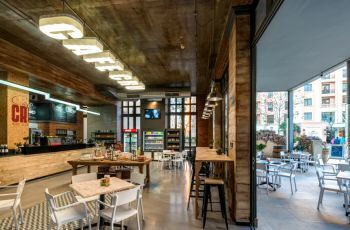 Out-of-the-ordinary soft drinks, gourmet inspired craft milkshakes, and beers, both craft and South African favourites ensure all-ages liquid happiness. 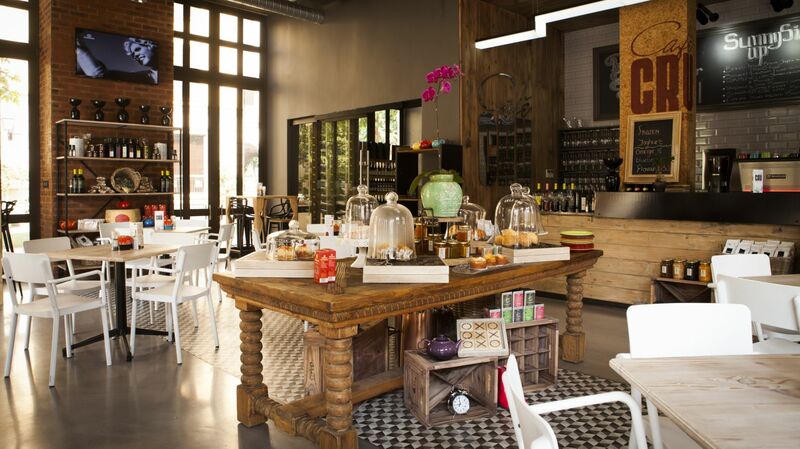 A venue with a difference for your Fourways event with Café Cru as an exclusive use venue. Hire the entire venue and make use of the spacious Tuscan style courtyard for events that can be laid-back cool or dress-up elegant. Canapes and deli style dining with wines, beers, cocktails or non-alcoholic drinks that pair-perfectly in a semi al-fresco space decorated the way you like it. The perfect place for product launches, end of year team thank yous and special occasions. Staying at Montecasino? 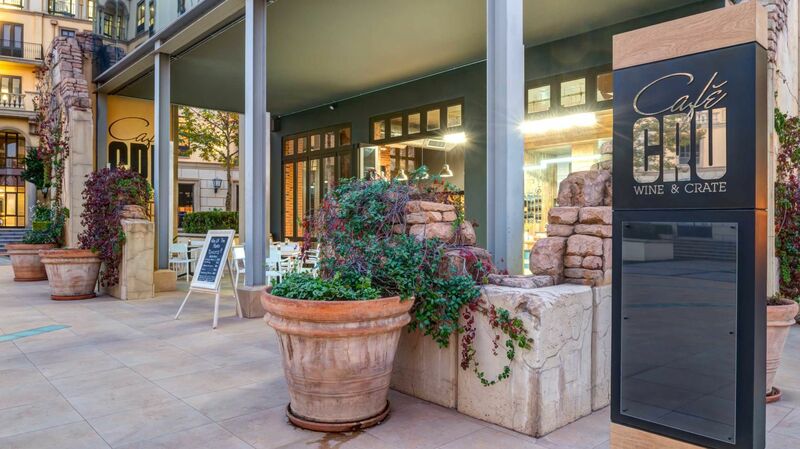 Guests at SunSquare Montecasino, Southern Sun Montecasino or The Palazzo get to charge to their room.